Blind allegiance to the stock market can be dangerous. The wiring of our brains works against us as investors. If the market wasn’t risky we wouldn’t need to worry about our faulty wiring because we wouldn’t have to make any decisions. If we were naturally suited to making good investment decisions under stress, a risky market would be less worrisome. However, the market is risky and our wiring is faulty – we need a strategy to deal with both. This series of Strategic Investor articles has been about non-obvious, roundabout solutions to our biggest, most common mistakes. Part I was about how loving losses allows us to diminish their impact. Part II was about how hating wins can help us achieve large gains. Part III was about how being a meek investor makes it easier to be an aggressive investor. This part is about how taking charge of our reactions to risky markets is made easier by not taking charge. When markets are gyrating uncomfortably, we tend to either freeze with indecision or make impulsive choices based on the most recent thing we read or hear. We seek comforting information that supports our pre-existing opinions. Plans that were carefully considered are quickly abandoned. These reactions are normal. I’d bet they are more common than not. Good news though, it’s a problem that can be fixed. Outsource the plan to a system. Outsource the plan to another person. The first option means that opinions/feelings/biases/etc. are replaced with rules that dictate actions. There is still a role for judgment and experience and education, but only in the initial construction of the rules. Once in place, you have to be willing to let the rules take over. This is the only way to ensure that decisions are being made consistently and free of bias. Ultimately however, a system can only work if a user is willing to submit completely. Bending a rule because, “it’s different this time,” or “that Motley Fool article made a lot of sense” means it’s no longer a system. It might be a collection of loose guidelines or a wishbook, but not a system. For some people, just the existence of concrete rules can serve as an adequate psychological buffer. Some systems can be automated. Often though, people need more distance. It’s important to be honest with yourself when it comes to your ability to faithfully execute a plan that sometimes forces you to do things that feel completely wrong. The second option is admittedly self-serving, but it’s a real thing. Enlisting an advisor to execute a plan creates valuable space from each individual decision. You no longer face the dread of making important choices in an uncertain environment. Your role is elevated to management of the advisor. Is he adhering to the plan? That’s a single yes/no decision instead of a long list of more granular decisions being made under stress. Here’s the twist. Outsourcing the plan to another person is an unreliable fix if that person is not utilizing the first option. Everyone has biases and emotions. Every human is vulnerable to the frailties of human nature. Before enlisting someone to execute a plan on your behalf, make sure it’s actually a real plan with rules and limits. 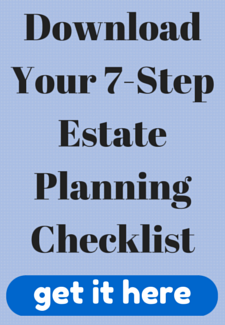 This provides a clear path to follow and gives you a simple way to ensure that it’s being done. Investing success has never been about possessing some kind of Holy Grail System or knowing the Insider Secrets of Wall Street. The key is in recognizing and finding a way around our own counterproductive instincts. 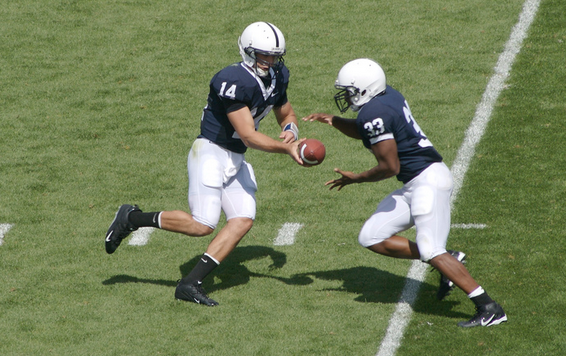 The image above titled “Morelli Scott Handoff” is copyright (c) 2007 by Ben Stanfield and made available under a Creative Commons Attribution-ShareAlike License. This entry was posted in psychology, strategy on January 24, 2014 by Patrick Crook.